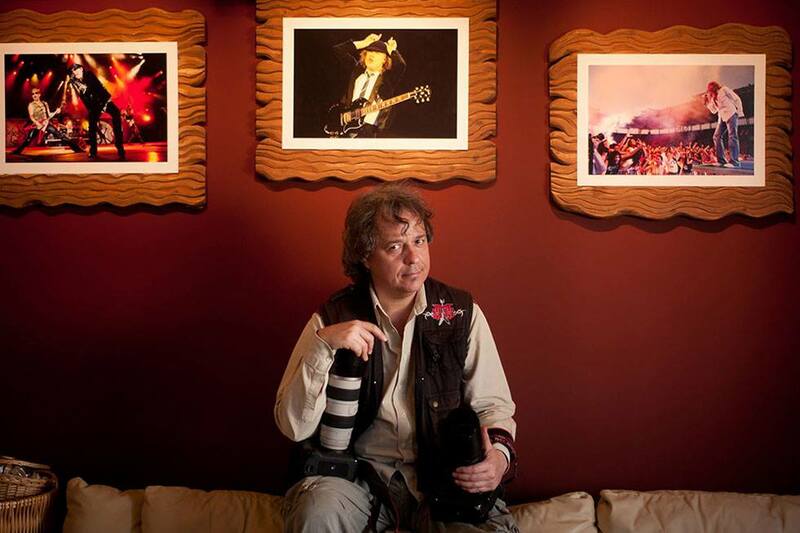 Being a photojournalist since 1983, Chris Kissadjekian finally found himself living his wildest dreams 30 years ago, combining two of his great passions: music and photography! Having a versatile career, working for Athens News Agency (1989-1996), for “Athens ’96” (Organization for the Athens candidacy of the 1996 Olympic Games), for “Ethnos” (1983-1985 & 2017-2019), “Eleftheros Tipos” (2007-2009), “Eleutheria tou Typou” (2017) and occasionally for “Real News”, “Veto” & “Apocalipseis” newspapers, for some of the biggest magazines in Greece, and for some of the greatest international spirit & advertising companies like Diageo, Remy Martin-Metaxa, Bacardi Hellas, Amvyx, Spot Thomson, McCann Erickson, he travels around his native country, Europe and occasionally U.S.A., longing to “freeze” unique moments of artistic expression. His concert pictures are published in international & domestic releases, in the biggest music magazines of his home country (Metal Hammer, Pop & Rock, Difono, Zoo, Jazz & Jazz, Sonik) and occasionally abroad (RockHard & Metal Hammer-Germany, Metal Hammer, Kerrang!, Terrorizer & Classic Rock-U.K., Burrn!-Japan etc. ), plus some of the biggest webzines in Greece like Billboard.com.gr, Rocking.gr, Rockpages.gr, Solidrock.gr, Avopolis.gr etc. In addition, since the establishment of MTV Greece in 2008, he had long time collaboration with the channel, covering their annual big events. Last but not least, he has done several studio & outdoor photo-sessions and photo gredits which can be found in albums, DVDs, press promos & interview photos of international artists & bands like Ozzy Osbourne, Iron Maiden, Bon Jovi, Foo Fighters, Eric Burdon, Ian Anderson, Serj Tankian, Chris Cornell, Iced Earth, Nevermore, Cradle of Filth, Porcupine Tree, Gamma Ray, Fates Warning, Candlemass, Armored Saint, Kamelot, Evergrey, Ozric Tentacles, Snowy White, Blane Reininger, and Greek ones such as Socrates, Dionysis Savvopoulos, Pix Lax, Spitfire, Rotting Christ, Septic Flesh, Nightfall, Acid Death, Memorain, Fragile Vastness, Iasis, Human Touch, Mode Plagal, Haig Yiadjian, Michalis Nikoloudis etc.